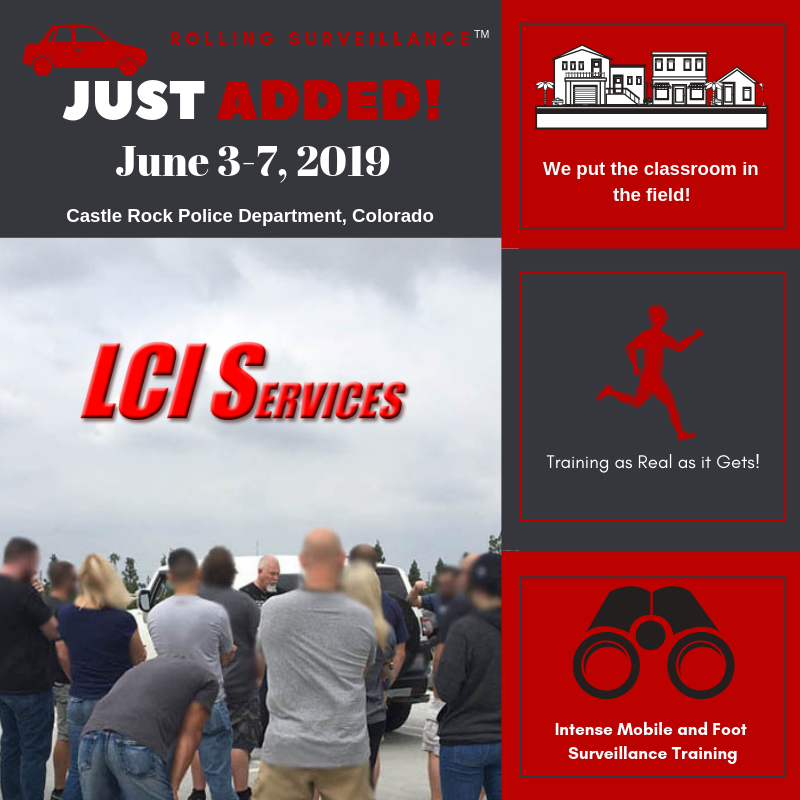 Register and pay below for the June 3-7, 2019 Rolling Surveillance training in Castle Rock, CO.
Rolling Surveillance Training Course for Law Enforcement in Castle Rock, CO from June 3-7, 2019. $555 Early Bird Payment when payment received PRIOR to May 13, 2019. $585 thereafter. ** Your email address will be added to our Law Enforcement Email List for training updates and announcements. Thank you.